Through this project, the Ministry of Public Health of Dominican Republic (MoH), together with its service delivery structure National Health Services, and, together with the civil society organisation and health care NGO Health Horizons International, will implement the first phase of the national MoH NCD response programme, focusing on diabetes and hypertension. 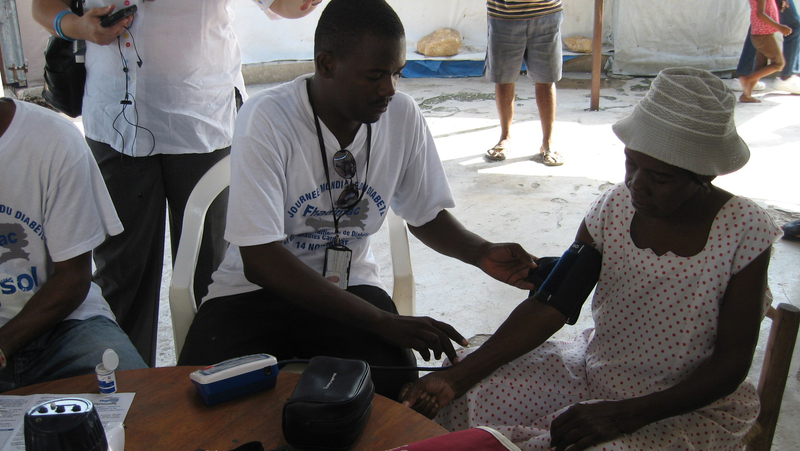 The first phase national NCD response implementation will target three northern provinces of the Dominican Republic (out of a total of 30 provinces in the country). The three provinces targeted represent 1.5 million people or 15% of the total country population. The programme builds on lessons learnt and experiences gained from successful pilot project phase supported by WDF (WDF13-815) through which the capacity building model and various training materials were developed and implemented. The model will now be expanded and refined with more emphasis on patient registries and data collection and with further strengthening of tuition, combined with supply of basic and advanced equipment, incl HbA1C laboratory service. The main emphasis of the programme is the primary health care level supported by secondary level. Community level outreach and mobilisation are also critical components, all aligned with the national NCD strategy of the MoH. Furthermore, large scale and varied media and awareness campaigns will be rolled out, including social media, radio/tv etc. Finally, extensive monitoring at provincial level will be given high priority, again based on learnings from WDF13-815 pilot, whereby local NCD coordinators will be given additional resources. The implementation framework will be led by the MoH but with the regionally located co-partner HHI and the provincial health authorities with wide day-to-day responsibilities.